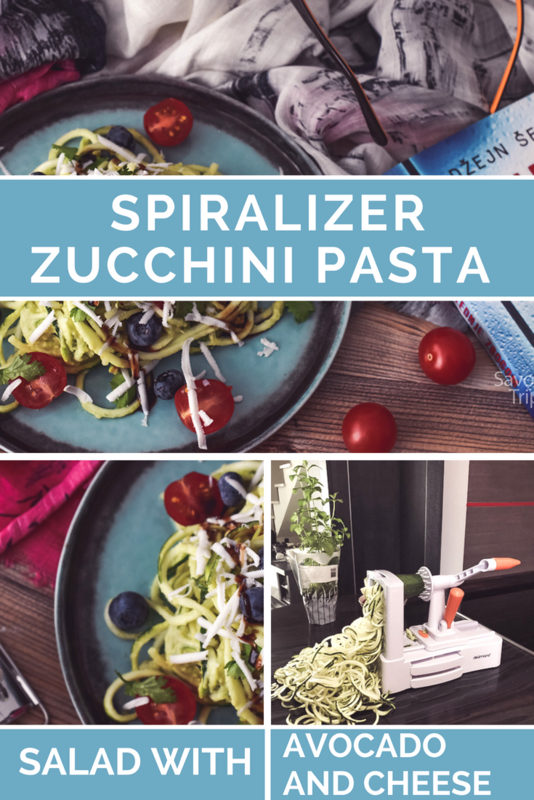 I simply had to include the spiralizer (love Spiralizer zucchini ), or as I like to call it “the vegetable spaghetti maker”, in my collection of small kitchen appliances. 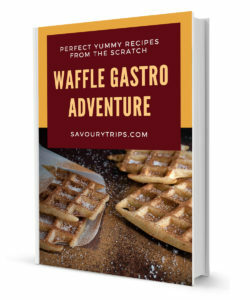 In the end I stumbled upon this one (this is not an advertisement) and bought it online. I tried so many of them and this one is the best, although it could be better, but you have to get used to it a bit. It’s plastic and it has 3 sets of knives that you can change. All of them make some form of spirals, shorter or longer, but one of them is exclusively for spaghetti (spirals in that shape and length). It’s easy to assemble, dissemble and maintain. The only thing you need is practice to make the exact long vegetable spaghetti. 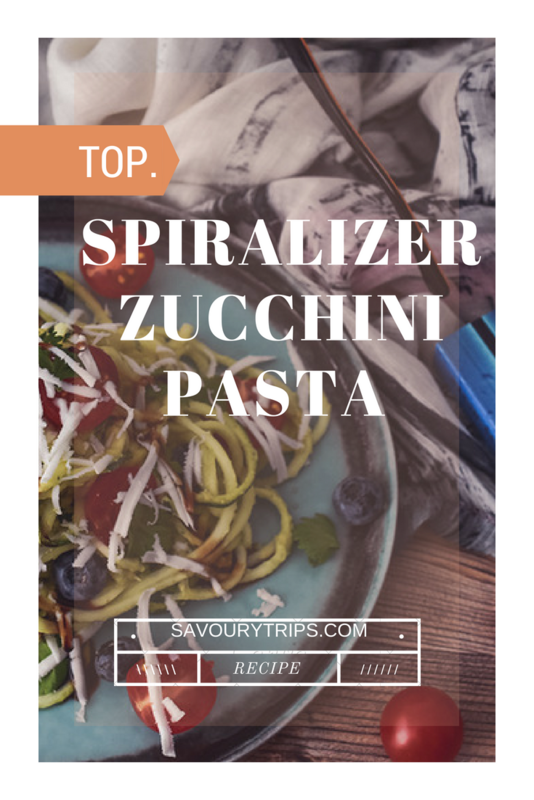 The best types of vegetables to use for this spiralizer is the long kinds of vegetables such as zucchini, carrots, cucumbers etc. Of course, to put the vegetables into the spiralizer they have to have flat front and back edge. So if you have vegetables of a round shape, you have to cut them from the front and back side and make flat edges. 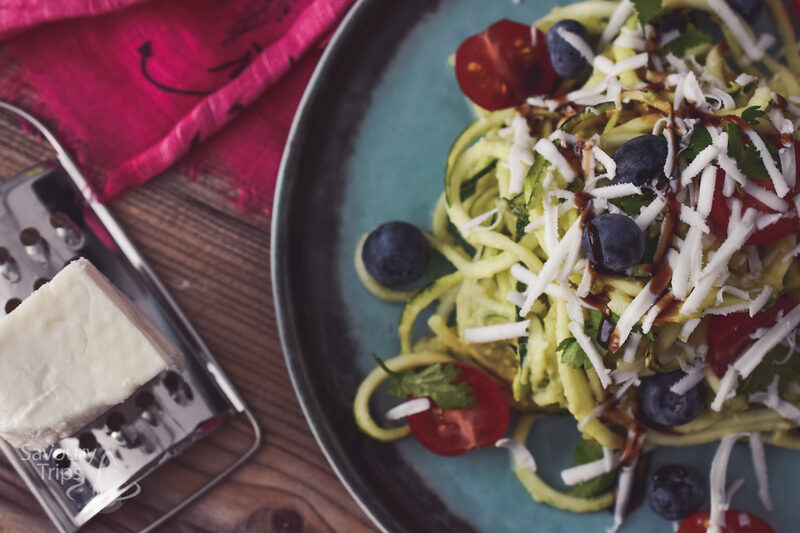 Another trick for using the spiralizer is that when using it in combination with a blender you can make a vegetable rice very easily. 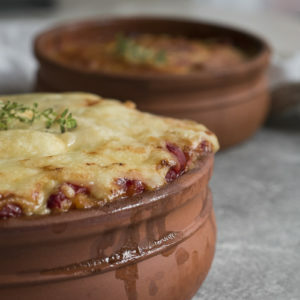 You can do it by putting the spiralized vegetables into the blender and, impulsively moving the blender, that is the knives inside of it, cut the vegetables in equal chunks the size of a rice grain. 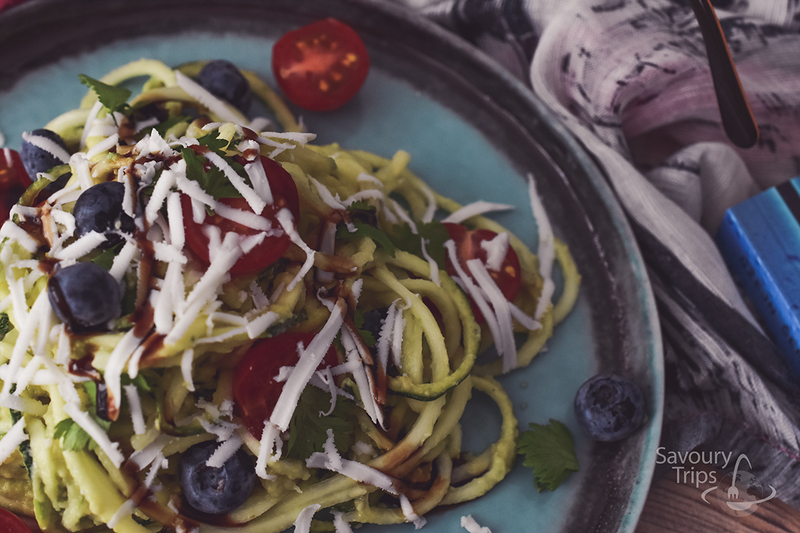 How to make Spiralizer zucchini with cheese? I only washed the zucchini (the green ones) and did not remove the crust and then I made spaghetti out of them with spiralizer. The middle part of the zucchini removes itself in the appliance, so the seeds won’t end up in the salad. This is what makes it so beautiful when the vegetable haters don’t figure out what the salad actually is. 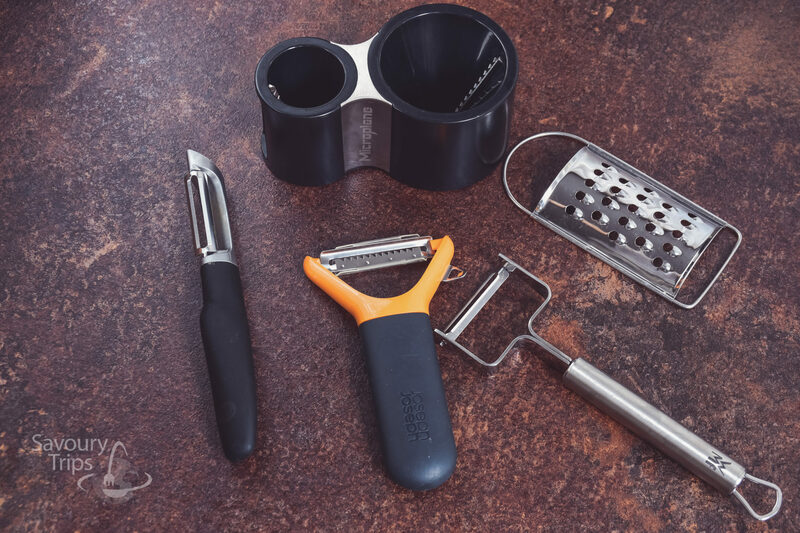 If you don’t have a spiralizer and you don’t intend to buy it, you can use some of the following appliances to get the more modern look of the vegetables on your plate. And maybe someone who doesn’t like meals with fresh vegetables will end up trying them. 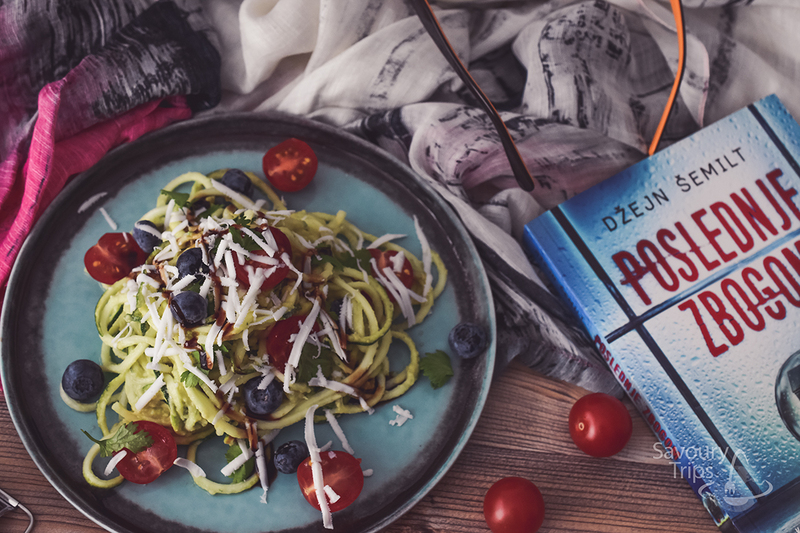 This is where we already made spaghetti..apiralizer zucchini. Now all we have to do is to mash avocado like this. Add one lime juice, chop a handful of coriander and leave some of it for decoration. I brought Alpine goat cheese (Monte Goat) from Montenegro. It is P.H.E.N.O.M.E.N.A.L !!! It doesn’t smell, and the taste is P.H.E.N.O.M.E.N.A.L. I just grated the cheese. I added cherry tomato, a little bit of blueberries which softened the lime’s sourness… Salt, pepper…And then I went for it. 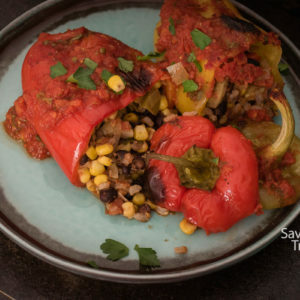 This is a healthy and quick meal option…If you don’t like it without meat…salmon is a great choice in this combination. You can use the smoked one as well 🙂 . 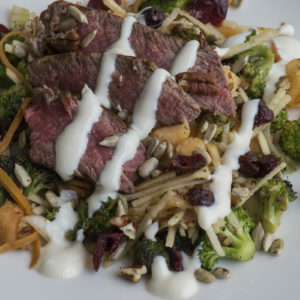 If you like creamy dressings, make this one. Peel avocado, throw away the big seed and mash it with a fork. Add one lime juice, half the needed quantity of the chopped coriander and mix them well together. Leave aside. 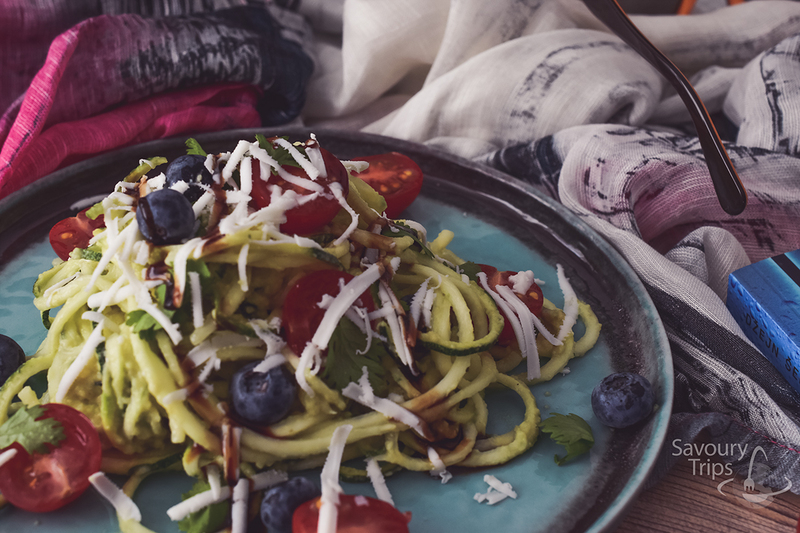 Wash the zucchini, make the front and back side smooth and put into the spiralizer according to the instructions. 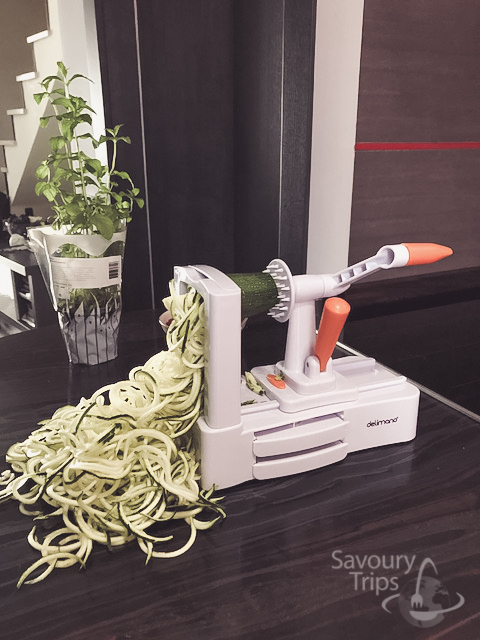 Use the vegetable spaghetti making knife and put the zucchini in the spiralizer. 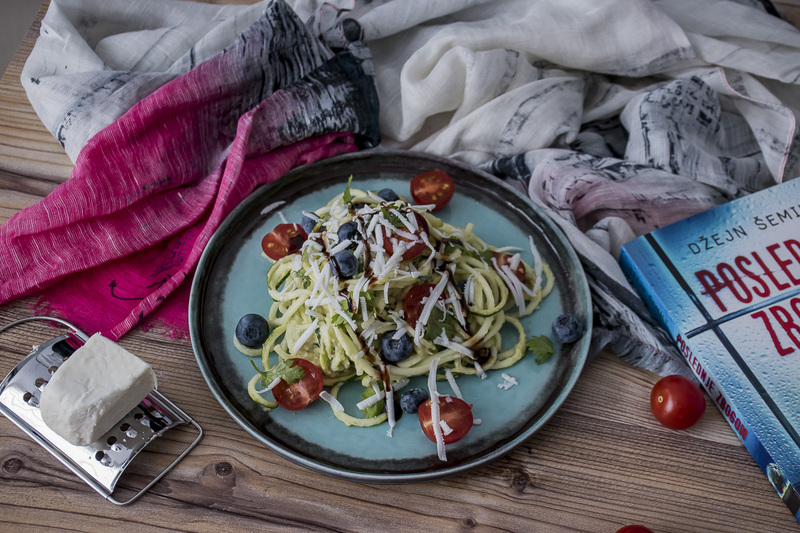 Mix the spaghetti with mashed avocado (carefully) add blueberries, cherry tomatoes and 1/2 of a hand of minced coriander leaves. 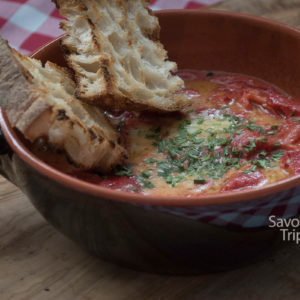 Grate older goat cheese over and sprinkle with reduced balsamic vinegar.